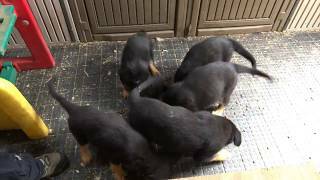 Guardian Angel Shepherds: Mary Ann Marcellus sent you a video: "Time Lapse German Shepherd Puppy Feeding"
Mary Ann Marcellus sent you a video: "Time Lapse German Shepherd Puppy Feeding"
Eat. Stop. Eat. Stop. Eat. Stop! 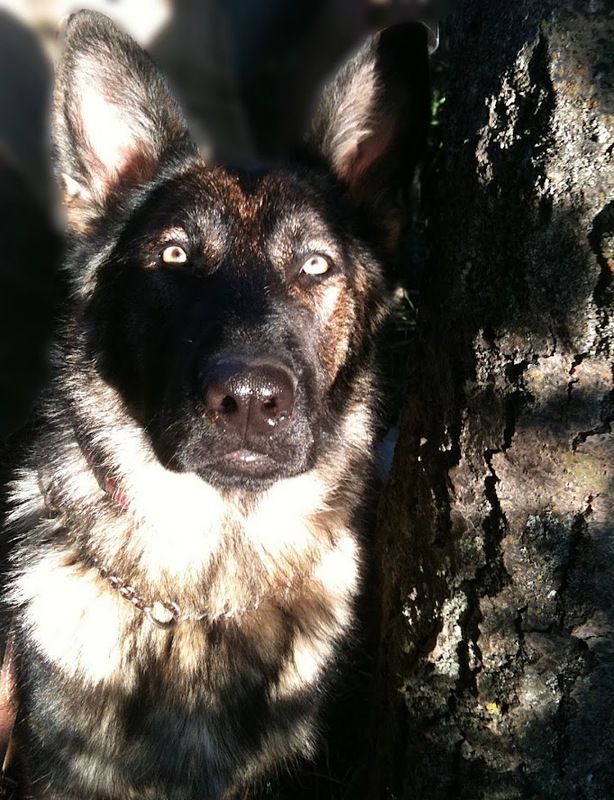 Five German Shepherd puppies are being taught to use their nose to find food. It's good practice for looking for that lost child or tracking down that bad guy! They are also learning restraint as I feed some, then require them to all sit before giving more. It happens fast so watch for it! Time lapse! 8 puppies get a bath! See your dog at night!